Republic fought off a challenge from a pesky Carthage team, pulling away down the stretch for a 58-46 victory on Carthage’s homecoming night. Drew McMillin and Broc Smith combined for 37 points for the Tigers, who stayed unbeaten in the Central Ozark Conference. Republic began to pull away from Carthage several times, but Carthage kept climbing back. Marcus Huntley’s 13 points in the first half helped Carthage remain in the game. So did several bad offensive possessions by Republic after they had built a double-digit lead. McMillin came out on fire for the Tigers, scoring Republic’s first eight points and tallying 11 points in the first quarter. Republic led 15-13 at the end of one period and 27-24 at halftime. After the midway point, Republic came out more organized in its half-court offense. “It’s the second game in a row where we started the third quarter with really awesome possessions, and I feel like if we can get more of those, and get our offense to look like it did in those first three, four possessions of the half, we’re going to be really hard to guard and hard to beat,” Brown said. Smith and Joe Rexroat combined for big back-to-back three-pointers in the third quarter after Carthage had cut the lead to 34-32, stretching Republic’s lead back to eight points. The score was 40-34 at the end of the third quarter. 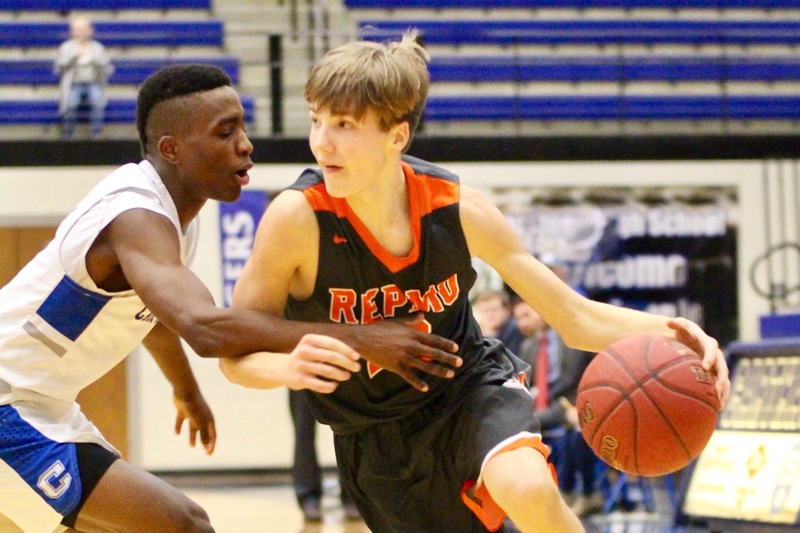 Republic outscored Carthage 18-12 in the final period to account for the final score. McMillin finished with 22 points. Smith had 17 to join McMillin in double figures. Republic improved to 15-6 overall and 4-0 in the COC. Carthage falls to 10-10 (1-3). The Tigers return to action Tuesday against Willard.